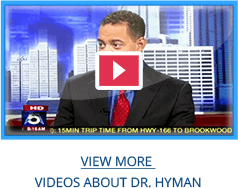 Dr. Hyman is a regional leader and expert Hip Arthroscopy Surgeon. 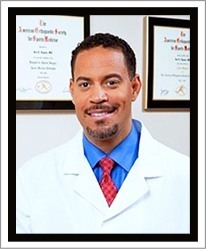 For more information about his expertise and leadership in Atlanta, see our "#1 Advantage" page. Welcome to the site where you'll find out about the "latest and greatest" in the world of hip arthroscopy. We have up-to-date videos, patient education, useful links and more detailed information for physicians & surgeons. Thank you for visiting us, as we keep you updated on the latest 'state-of-the-art' research data. Many patients with hip and groin pain can benefit from Hip Arthroscopy, but unfortunately, few orthopaedic surgeons are familiar with the procedure. As a newer area of surgery, not many surgeons are qualified to teach it, and thus many orthopaedic programs do not cover it or only touch on it briefly. Hip Arthroscopy is minimally-invasive and is the solution to many conditions and problems. In the procedure, an orthopaedic surgeon uses a device called an arthroscope to examine the interior of the hip. Until recently, hip arthroscopy has often just involved looking inside the joint with a small camera and rinsing it out, a procedure called debridement. With new advances in technology, surgeons have learned ways to treat and repair a wide variety of conditions including loose bodies, labral tears, cartilage damage, bone spurs, arthritis and impingement. 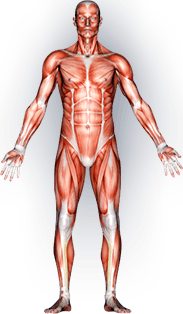 Dr. Hyman is an expert at the surgery and the recovery, both of which are extremely important. He has worked hard at establishing the Atlanta Center for Hip Preservation so that Georgia patients wouldn't have to travel far out of state to have these crucial procedures, and at his practice, strives to inform and educate patients about both Hip Arthroscopy and hip health. Peripheral Compartment Assessment from Dr. Jon Hyman on Vimeo. Labral Repair from Dr. Jon Hyman on Vimeo. Chronic FAI with osteoarthritis from Dr. Jon Hyman on Vimeo. FAI Flaptear from Dr. Jon Hyman on Vimeo. Decompression CAM Deformity from Dr. Jon Hyman on Vimeo. Hip Labral Repair from Dr. Jon Hyman on Vimeo. Hip Scope Labral Detachment from Dr. Jon Hyman on Vimeo.